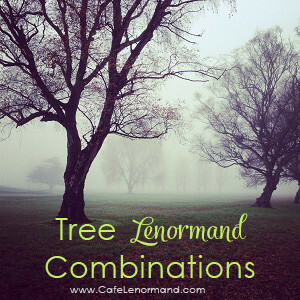 I created this list of Lenormand Tree combinations to help you learn how to read Lenormand. This list doesn't contain every possible Lenormand Tree combination. Instead, it contains some of the most common combinations you will come upon in your spreads. As you learn Lenormand, you will find that the actual number of Tree card combinations is limitless. That's the beauty of Lenormand – it's always changing to adapt to your question, the events in your life, and all the people around you. You can use these Lenormand Tree combinations to help you double-check your spread interpretations. If you ever get stuck in a reading, review them for guidance. Let me know what you think of these Lenormand Tree Combinations in the comments below. Are there any you would add or change?